Recent directives by the EU on the use of conventional lighting applications have sounded the death knell for traditional lighting methods. With the incandescent light bulb and other conventional high-energy light sources due to be phased out over the next few years, the spotlight will be on the innovations and new technology being rolled out by manufacturers at Light Middle East 2010. The region’s foremost trade event and conference for urban, architectural, theatrical and retail lighting solutions will be held at the Dubai International Covention and Exhibition Centre from October 31 to November 2. 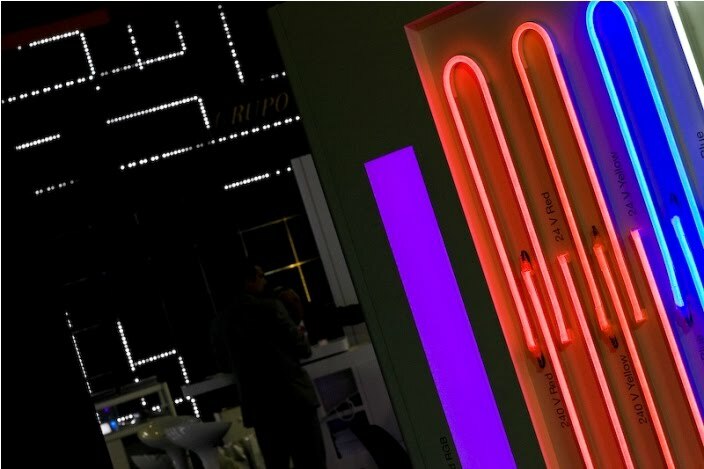 “Leading manufacturers will be exhibiting a range of new lighting applications and technology that will revolutionise the world of lighting as we know it,” said said Mr. Ahmed Pauwels, Chief Executive Officer of Epoc Messe Frankfurt GmbH. “The Middle East is increasingly paying more attention to following the latest trends in the industry worldwide including, for example, the latest in LED innovations and Light Middle East is the ideal platform for local consumers, suppliers, distributors and industry professionals to gain access to the latest trends and developments,” he added. The use of LED in luminaires is growing across the industry and leading exhibitors such as Phillips, Osram, Ruud Lighting Arabia, Thorn of the Zumtobel Group, iGuzzini, and Targetti Poulsen will be among those showcasing their innovations and new light sources. LED luminaires have the benefit of being extremely energy-efficient and much longer lasting than conventional light fittings, leading to tremendous cost savings for the consumer. Also on display during the three day event will be redesigned lighting systems that use fluorescent and incandescent light sources. Fluorescent lighting, while highly popular, tends to give out “cold” light. Current design trends are moving towards covering the light source, which results in a much more pleasant lighting environment. In addition to the latest developments and innovations in energy-efficient lighting systems, Light Middle East will also feature a conference, with a different main theme each day. The conference, which will feature a range of world leading speakers, both international and regional, will train the focus on the need for coming up with energy efficient lighting solutions.